Nashville is at the top of many people’s lists of places to go. Maybe, you are even planning to move to the city in the near future. It is primarily known as “Music City”, but Nashville is much more than its music venues. It also has countless restaurants, shops, parks, and trails that millions of people visit each and every year. The city also happens to be in a convenient location to other large cities. Therefore, you can easily take a short weekend trip to Birmingham or Atlanta. Thousands of people move to Nashville every year for a variety of reasons, from leisure to work to education. With over 20 universities, including Vanderbilt and Tennessee State, to choose from, the city is definitely not lacking in higher education opportunities. People find the city’s relaxed, friendly population to be inviting. The southern hospitality combined with the excitement of a larger city is the perfect mixture. It is apparent why Nashville is home to almost 650,000 people. If you are thinking about moving to Nashville, we urge you to consider using car shipping services. Our hassle-free auto transport services are created with the customer in mind, with the goal at helping make the transition to your new home an easier one. Learn more about Tennessee Car Shipping. Your car is very valuable to you. You rely on it, daily, to get you from one place to another. When it comes to assuring that it arrives to its destination without harm, you cannot just trust anyone. You must rely on a trustworthy and reliable auto transport company, such as National Dispatch. Here are a few benefits of shipping your car over driving it. No one enjoys traffic, and this is just one downside that comes with driving a car long distances. Add the countless hours that you will spend behind the wheel and you have quite a miserable drive ahead of you. Then, there’s no telling what the weather might do. Spend less time on the road. Fly to your destination, and ship your car. Have you ever heard the expression “time is money”? When you choose to ship your car, you don’t have to worry about taking time off work to do so, because you don’t have to spend days traveling to your new home. This is where that expression comes into play. In addition, you don’t have to worry about travel expenses, such as gas, food, and lodging that accompany long road trips. Your car will be loaded onto a transport carrier. This greatly minimizes wear and tear that comes from driving across the country. Save your tires, and spare the mileage. Ship your car. Makes transporting multiple vehicles easier. Many families, nowadays, own more than one vehicle. This can make it difficult when it comes time to move. You will have to travel separately, haul the car yourself, or hire a professional. The easiest, safest, and fastest solution is to hire an auto transport company to do the work for you. 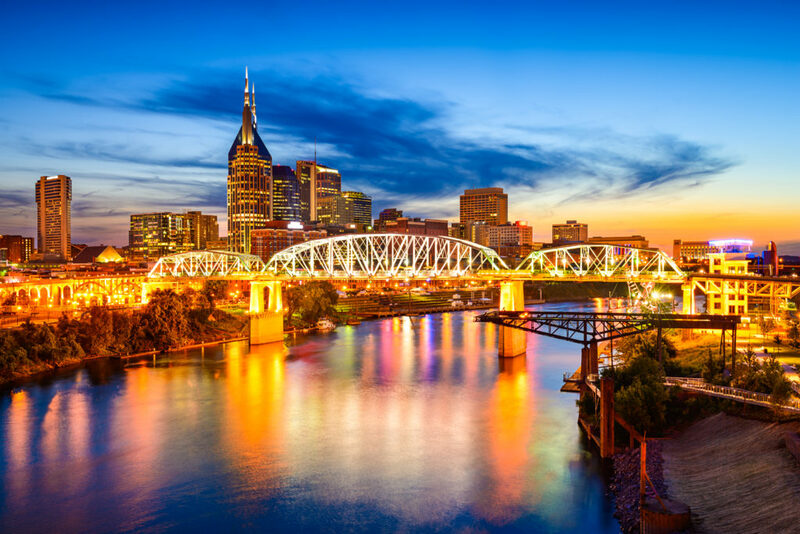 Nashville, Tennessee is ranked number 13 on the Best Places to Live list. It attracts many young professionals, creatives, families, and retirees. Here is a look into why Nashville is so great. For being a large metropolitan area, Nashville is affordable. The housing market is less expensive than most all of the other metropolitan areas within the country and ranks less than the national average. However, it is cheaper to rent than to buy. The housing market may change over the next several years due to the influx of new people and has consistently been on the rise for the last several years. However, the cost of living has been under the national average for a solid five years. Not only is housing cheaper, but so are groceries, health care, and utilities. Another large factor into why Nashville is affordable is the fact that Tennessee does not tax wages. This means that you will be able to keep a larger portion of your annual salary. All four seasons are present in Nashville. Summers can be fairly warm with added humidity. This can create several days that are hot and muggy, but temperatures stay below 100 degrees. In the fall, temperatures are cool and breezy. The winter brings in cold weather, but do not expect major snow storms. You will likely see more ice than snow in these parts. However, there may be a few days that reach below freezing. The spring is nice with an average of 60 degrees. Overall, you will have plenty of days of sunshine, giving you the opportunity to enjoy the great outdoors. Hike, bike, walk, picnic, or whatever you enjoy. Get in tune. One of Nashville’s most popular nicknames is ‘Music City’, but the city is more than just country music. Every genre and sub-genre can be found in Nashville. Healthcare capital. You don’t have to worry about your health, because Nashville is a healthcare hub. The industry also happens to be the largest and fastest growing employer. Need a job? What’s in fashion? Not everybody wears cowboy boots and cowboy hats. In fact, most people who do wear these accessories are tourists. Nashville has great food. You can find almost any kind of food that you want and crave. From hot chicken to brisket to biscuits, you can find it here. You need a car. While it is possible to get by without a car due to ride-share services, most people own a car. However, there is a lot of traffic. Be prepared. It’s a friendly place. Having that southern hospitality, the people are friendly. Many will spark conversations with you. National Dispatch is a top provider of auto transport services for both individuals and corporations. Therefore, we specialize in more than just residential moves. We also help individuals who are in need of our services for a vacation, corporate relocation, out of state purchase, auto show, auction, and more. If you are in need of car shipping services, please contact us. Request a free, instant car shipping quote using our online quote calculator. No personal information is required. You can also call us at 800-321-2051.